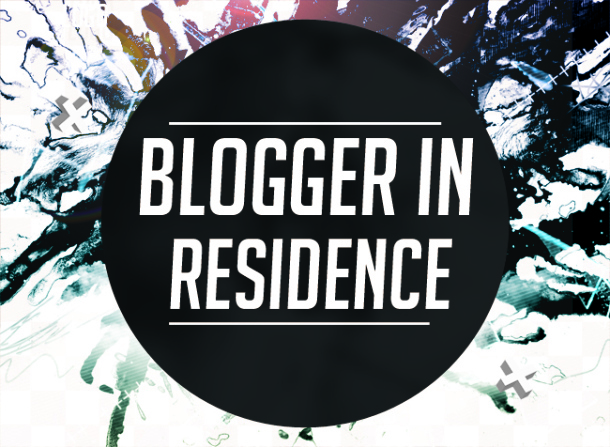 Could you be our next Blogger in Residence? Going to be applying for this! Could you be the next ACT Writers Centre Blogger in Residence? We are looking for creative individuals to pen our blog for a period of 3 months, open to writers wanting to whet their writing appetites or expand their portfolios. You will be producing content in the form of interviews, short writing related articles, and anything else you may be inspired by at the time (we will be open to your pitches). You will be aiming to produce a post every 1-2 weeks that will go up on the ACTWC blog. We will be here to guide you along the way, and help you source people you might want to interview. This is an unpaid position, but at the end of the 3 month stint you’ll have new connections, experience and a collection of online published writing. Loving being featured on the A&G project space website. 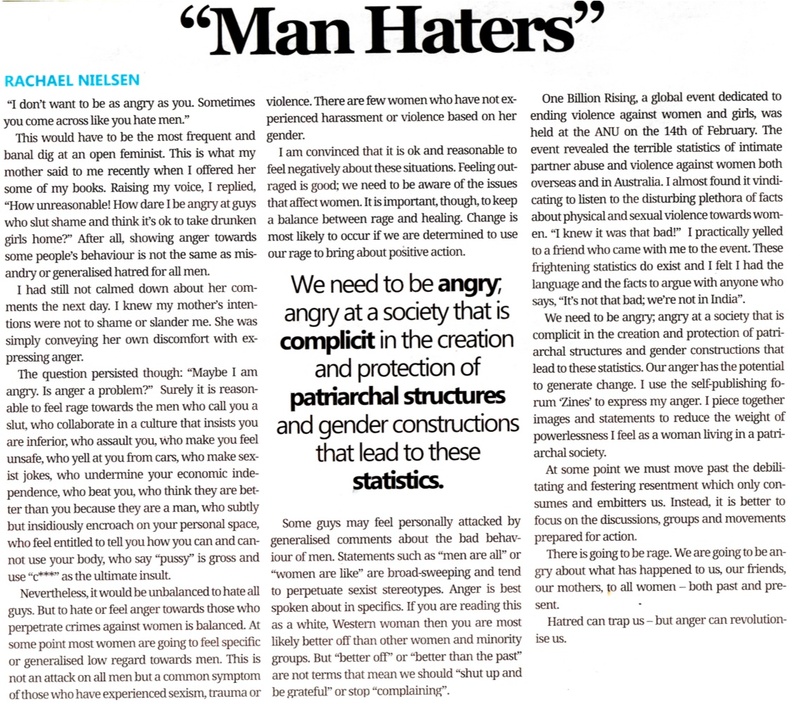 So I am finally uploading my “man haters” article that was re-published by Woroni. Its more for my own catagorisation that I put this up here, but I do hope you enjoy this slightly wonky retake! ‘Found in Translation‘ is an ongoing series that highlights words in other languages with no direct English equivalent. The illustrative posters are done by Anjana Ilyer, a Mumbai-born graphic designer currently based in Auckland, New Zealand. Anjana’s goal is to do 100 of these illustrations in 100 days. You can see the entire series to date on Behance. Gorman House is letting a number of artists use their historic rooms for short term residencies. I was having a disastrous time in my personal life when Scissors Paper Pen emailed me about the opportunity. But I slogged through the application process in more hope of proving my own determination, than certainty of getting a spot. This is one of those times when my efforts have been rewarded. Ainslie and Gorman have given me a place in the program! I will have a space to go to whenever I want to write! I will be working on a number of fiction and non-fiction projects over the course of the residency. Exciting stuff! A big thankyou to Kelli-anne, the Director of the ACT Writers Centre for being a reference and Rosanna Stevens from Scissors Paper Pen for doing me the same big favour. Mistake # 62: Letting your work expire. Today’s guest post courtesy of Annie Neugebauer. When Lisa asked me to do a guest blog, I was tickled but stumped. Not because I’m so arrogant as to think I’ve never made a mistake. Far from it. It was more along the lines of, “How am I going to think of one that Lisa hasn’t already discussed?” Because honestly, Lisa does a pretty damn good job here (as you know, since you are likely one of her regular readers), and I make the same mistakes every other writer makes. I began going through some of my old writing files trying to pinpoint a mistake that hasn’t already been covered but is still worth sharing. I’ve made dozens of mistakes. Maybe hundreds. My god, some of that stuff is embarrassingly bad. And to think that I was actually pleased with these works at the time. Proud, even. Cocky.